Ecuador - from wonder to wasteland? 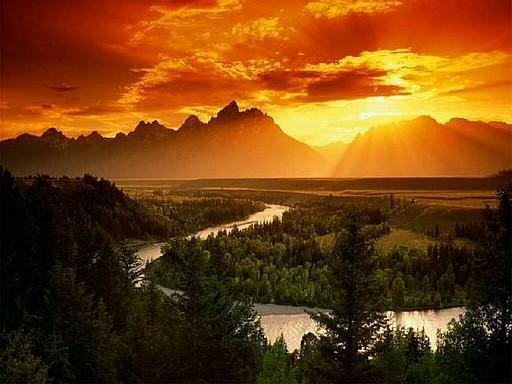 Ecuador is a small country containing a wealth of bio-diversity and is being threatened by a 21st century Neo-Liberal mind-set which is more interested in the accumulation of Capital than in the preservation of irreplaceable eco-systems. The present Government's push for the extraction of oil and mineral resources in some of the most bio-diverse areas on our planet Earth is causing growing tension in the country. 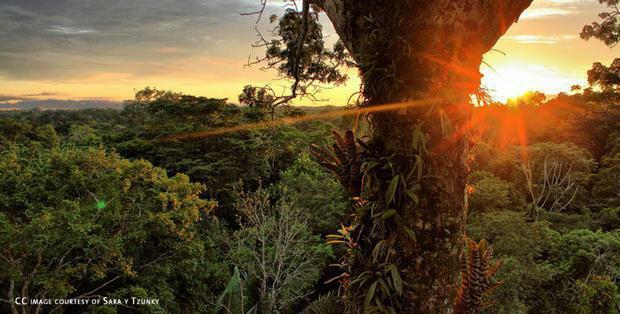 Yasuni National Park is an area of incredible bio-diversity which the Government has declared open to oil extraction. The people of Ecuador have presented more than 750,000 signatures demanding a referendum on this extraction. In just four days the Government declared 230,000 votes unacceptable, and refused to hold a referendum. There are loud calls declaring the process "fraudulent" and failure of the Democratic process (and here). 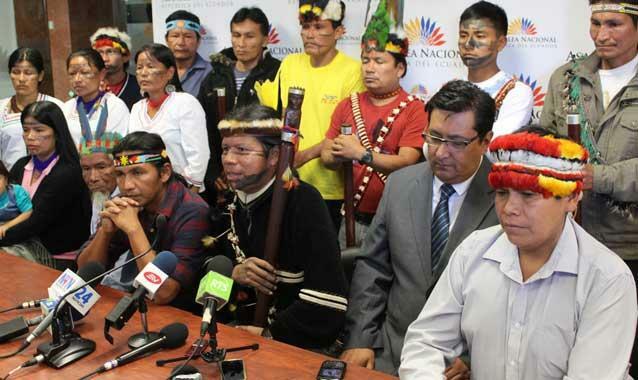 The Sapara Nation , who have land tenure of 380 thousand hectares of Ecuadorian Amazon Forest are threatened with Chinese oil exploration in their territory. Leaders have held rallies and raised awareness of their danger. Some of these leaders of the Sapara, are facing a process of preliminary investigation from the Attorney General's Office for terrorism and undermining the security of the country. Leaders met yesterday, May 20th, to decide on future actions to save their forests. We are in communication with Gloria Ushigua, who is President of the Association of Sapara Women, Ashinwaka. At present more than 200 Tribal National leaders are under investigation for terrorism. Terrorism in this case relates to mobilization of people in resistance to polluted water and environmental destruction. CONAIE, an umbrella organization representing the Tribal Nations of Ecuador have declared for a National Mobilization. This mobilization is being planned as I write this article. 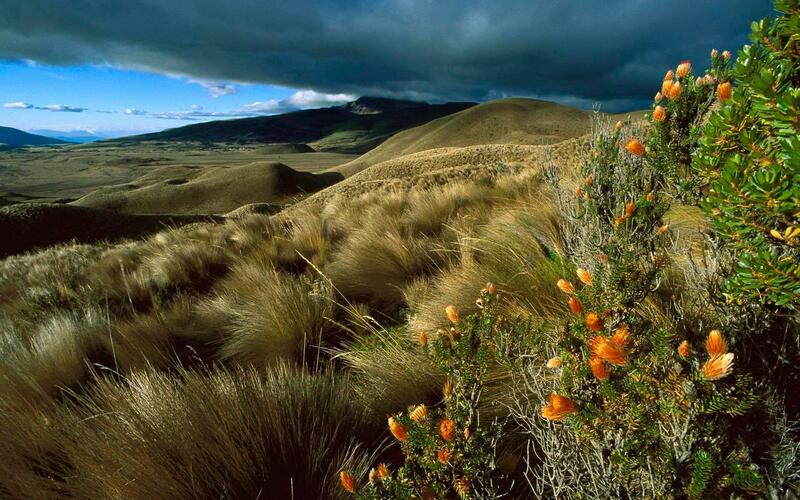 There are two areas in Ecuador threatened by large open pit copper and gold mines. The longest struggle is at Intag in the North West of the country. In recent weeks the military and police have invaded the territory and have made arrests. The situation is tense and the people are determined to protect their territory. In the South East of the country in the province of Morona-Santiago, the Central Ecuadorian Government have launched major mining concessions which are not acceptable to the Provincial Government who look for preservation of their eco-systems and bio-diversity. The situation is particularly tense in the area of The Mirador Mine, an open pit copper and gold mine of enormous scale. The destruction of water sources, endemic species, and cultural life have brought this mine to the first ever Citizens Rights of Nature Ethics Tribunal. About 2 weeks ago a church and school were demolished in San Marcos. San Marcos is situated in an area to be submerged in toxic mine waste. The church was still being used for Christian worship. Last week workers locked themselves into the mine works citing Human Rights abuses. This is a very difficult situation exacerbated by Government irregularities in relation to both Human Rights and The Rights of Nature, both of which are incorporated into the Ecuadorian Constitution. Ecuador is under a National Security alert and the outcome of the Government's Neo-Liberal policies of recourse extraction to the detriment of it's Tribal Nations and pristine environment, is causing great tension. All indicators portray the picture of a country heading into crisis. The World Tells BlackRock - Divest Now!